On my last day at home, I decided to bake some classics to leave for my family as I headed back to DC. Though many recipes I get exited about are a lot of bells and whistles (remember the More is More Bars, or the Caramel Apple Eggnog Cheesecake? ), I do have a healthy appreciation for the classics. I’ve told you before that my family is way into chocolate cake. That’s all they want. And though that’s slightly boring from the creative baking standpoint, it’s spot-on from the eating point of view. 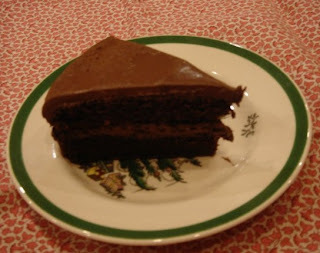 Because if I could eat one dessert every day for the rest of my life, it would be this chocolate cake. 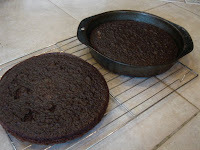 This time, I halved the recipe and made it in 8-inch pans for a smaller cake. If you make the full recipe, I recommend making 3 layers. 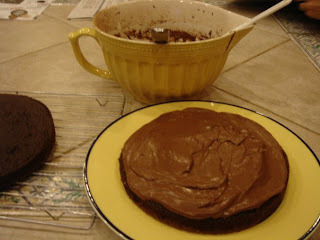 Or bake 2, and then cut each in half for a 4-layer cake. YUMMY!!! 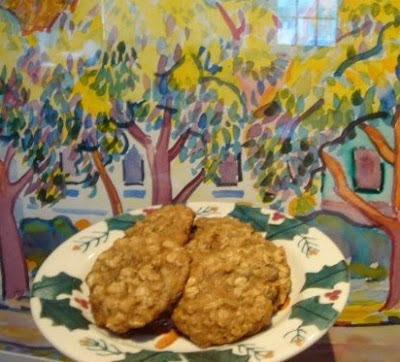 I also busted out some oatmeal cookies. 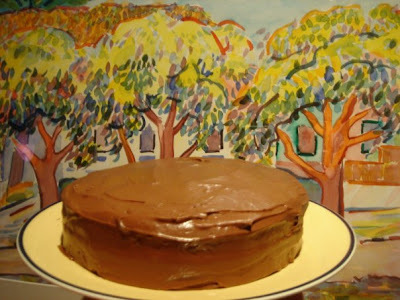 Because, like chocolate cake, they’re a family fave. 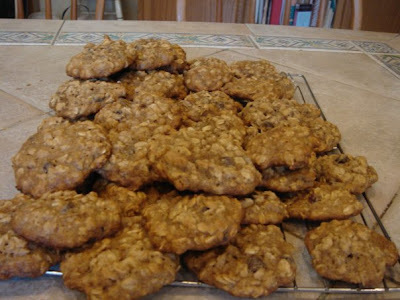 Double the recipe and freeze some - it'll keep you in cookies for months! Cookie dough is like a blank canvas to me. Heat oven to 350°F. 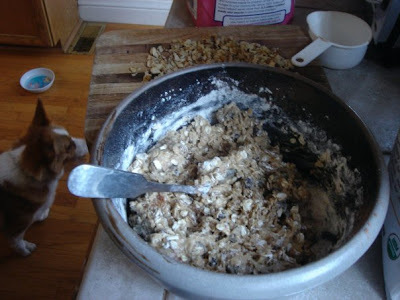 In large bowl, beat butter and sugars on medium speed of electric mixer until creamy. Add eggs and vanilla; beat well. Add combined flour, baking soda, spices and salt; mix well. 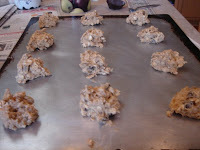 Add oats,raisins, nuts, and chocolate chips; mix well. Add water as needed to reach a good dough-y consistency.